Review Page Results for RSVP or Survey Pages. RSVP and Survey Page response data can be reviewed right in WordFly for any published Page. Go to Pages, select your Published Page, and click Results to start reviewing responses onscreen or click the download drawer at the top of the results page to download Results in CSV format. All data collected by the Page will be present in the Results. For RSVP Pages results include the Yes / No reply, Guests, and any answers to questions or other information collected. For Survey Pages, results will be answers to any questions or other information collected. Respondents will display in the order submitted with the most recent at the top of the list. Each information section will have a title which might be a question requesting information. The title / question becomes the title of the Results section for that data. All data can exported as a CSV download. Select the download drawer at the top of the Results section to access the CSV download. The same subscriber may show multiple times in the CSV export. 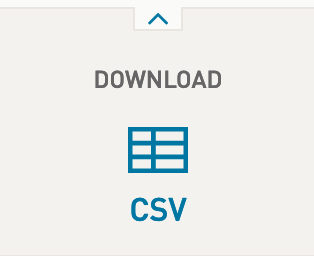 The CSV download is the raw export of every response for your RSVP and Survey Pages. This can be helpful if someone responds twice and they include additional information in their response (such as accessibility requests). Use the sort function in excel to order the Subscriber column. Click on the Results page to view Page event data. This page will display real results after the pages are published and there are user events to show. At the top the Results page you will see your Response total. This represents the total number of responses submitted for your Page. Under Who's responded? you will see who from your sent email campaign responded to the Page.This response will include email address and name information (if included on the WordFly subscriber profile). If the Page was sent anonymously, you will see rows for responses but no email address tied to the row. Using the view toggles you can change the default view from 25 responses, to 50 or 100. Use the arrow icons above to move through the data. Use the search bar to filter responses to a specific subscriber. Click on the magnifying glass icon to see a gallery view of your page results. An orange dot will appear beside a respondent that submitted information twice. Both responses with timestamps will be included in the CSV download. Each form block added to your Page design will have a title or question to collect data for that form field. The title or question given to the form block becomes the Results section header. Form field titles / questions display in the Results section in the same order as in the published Page. The Results page will include a CSV download drawer to quickly export all collected responses. Click on the download drawer arrow (^) to access the CSV file download.